The Internet of Things (IoT) is the fastest growing technology market. Industries are embracing IoT technologies to improve operational expenses, product life, and people's well-being. 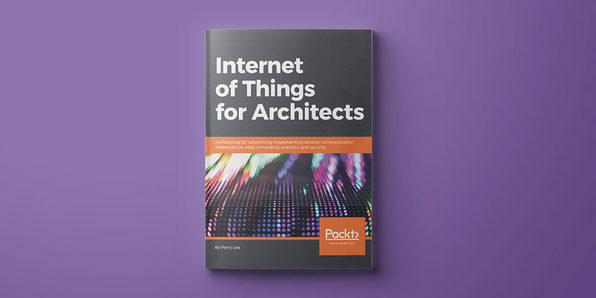 An architectural guide is necessary if you want to traverse the spectrum of technologies needed to build a successful IoT system, whether that's a single device or millions of devices. 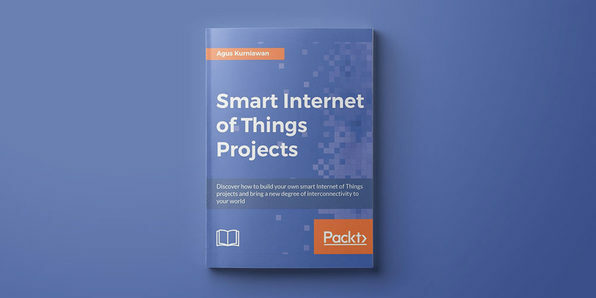 This book encompasses the entire spectrum of IoT solutions, from sensors to the cloud. Perry Lea has spent 21 years at Hewlett Packard as a distinguished technologist and chief architect. He then served as a distinguished member of technical staff and strategic director at Micron Technologies leading a team working on advanced computing devices. He is currently a technical director at Cradlepoint where he leads advancement and research in IoT and fog compute. Perry has degrees in computer science, computer engineering, and an EE degree from Columbia University. He is a senior member of IEEE and a senior member/distinguished speaker of ACM. He has 8 patents with 40 pending. For more details on this course and instructor, click here. With the advent of the Internet of Things comes a slew of new cyber threats. 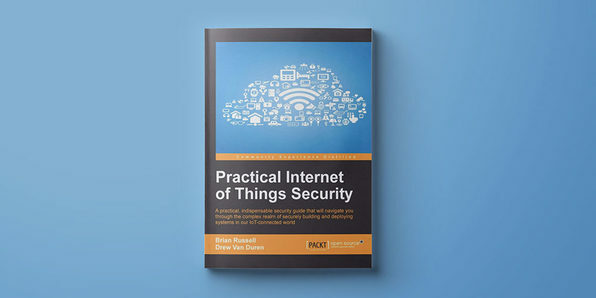 In this book, you'll learn how to implement security solutions, develop IoT design best practices, and cover risk mitigation methodologies. You'll begin by getting to know the IoT and how it can be applied in various industries, before delving into the security challenges associated with the IoT. 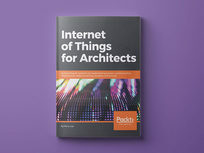 Ultimately, you'll receive a set of guidelines to architect and deploy a secure IoT in your Enterprise. Brian Russell is a chief engineer focused on cyber security solutions for Leidos. He oversees the design and development of security solutions and the implementation of privacy and trust controls for customers, with a focus on securing Internet of Things (IoT). Brian leads efforts that include security engineering for Unmanned Aircraft Systems (UAS) and connected vehicles and development security systems, including high assurance cryptographic key management systems. He has 16 years of information security experience. He serves as chair of the Cloud Security Alliance (CSA) Internet of Things (IoT) Working Group, and as a member of the Federal Communications Commission (FCC) Technological Advisory Council (TAC) Cybersecurity Working Group. Brian also volunteers in support of the Center for Internet Security (CIS) 20 Critical Security Controls Editorial Panel and the Securing Smart Cities (SSC) Initiative. For more details on this course and instructor, click here. 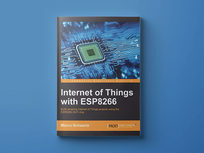 ESP8266 is a low-cost WiFi microcontroller chip that has the ability to empower the Internet of Things and helps the exchange of information among various connected objects. 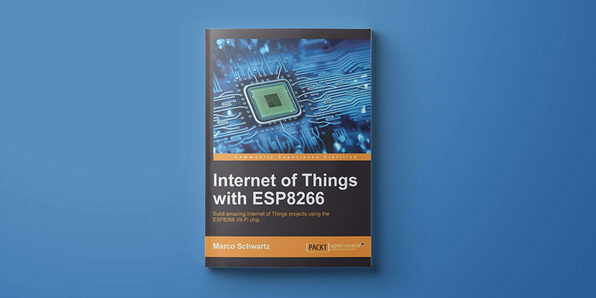 This book will help deepen your knowledge of the ESP8266 WiFi chip platform and get you building exciting projects. You'll start with an introduction to the chip by building a simple LED before learning how to read, send, and monitor data from the cloud. Before you know it, you'll be completing more advanced projects and be ready to get creative with ESP8266. Marco Schwartz is an electrical engineer, entrepreneur, and blogger. He has a master's degree in electrical engineering and computer science from Supélec, France, and a master's degree in micro engineering from the Ecole Polytechnique Fédérale de Lausanne (EPFL), Switzerland. He has more than five years' experience working in the domain of electrical engineering. Marco's interests center around electronics, home automation, the Arduino and Raspberry Pi platforms, open source hardware projects, and 3D printing. He has several websites about the Arduino, including the Open Home Automation website, which is dedicated to building home automation systems using open source hardware. For more details on this course and instructor, click here. 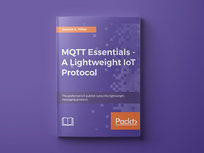 This step-by-step guide will help you gain a deep understanding of the lightweight MQTT protocol. First, you'll learn the specific vocabulary of MQTT and its working modes before installing a Mosquitto MQTT broker. 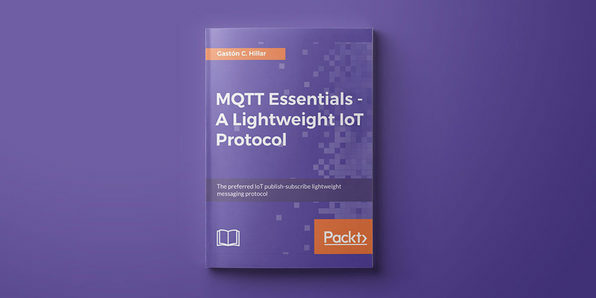 Then, you'll use best practices to secure the MQTT Mosquitto broker to ensure only authorized clients are able to publish and receive messages. As the book goes on, you'll learn more advanced applications of MQTT and discover how to effectively control machines with multiple programming languages. Gaston C. Hillar is Italian and has been working with computers since he was 8 years old. Gaston has a bachelor's degree in computer science (graduated with honors) and an MBA. He is an independent consultant, a freelance author, and a speaker. He was a senior contributing editor at Dr. Dobb's Journal and has written more than a hundred articles on software development topics. He has received the prestigious Intel Black Belt Software Developer award eight times. For more details on this course and instructor, click here. 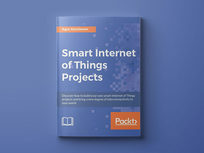 Creating basic IoT projects is common, but in this book you'll go beyond the common, creating projects that can extract data from physical devices, thereby making decisions by themselves. You'll explore basic statistics and various applied algorithms in data science and machine learning to accelerate your knowledge of how to integrate a decision system into a physical device. Here, you'll build projects like a smart temperature controller, an autonomous mobile robot car, and much more. Agus Kurniawan is a lecturer, researcher, IT consultant, and author. He has more than 16 years of experience in various software and hardware development projects for various companies. He also has been delivering materials in training and workshops, and delivering technical writing. He has been awarded the Microsoft Most Valuable Professional (MVP) award for 13 years in a row. He is currently doing some research related to software engineering, machine learning, networking, and security systems at the Faculty of Computer Science, University of Indonesia. For more details on this course and instructor, click here. This book is designed to introduce you to IoT and Raspberry Pi 3. It will help you create interesting projects, such as setting up a weather station and measuring temperature and humidity using sensors. 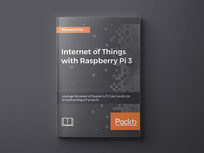 You'll learn how to leverage IoT to accomplish complex tasks like facial recognition using the Raspberry Pi camera module, AWS Rekognition, and the AWS S3 service. 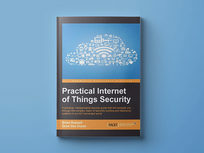 The book will provide a practical overview of IoT's existing architectures, communication protocols, and security threats at the software and hardware levels.